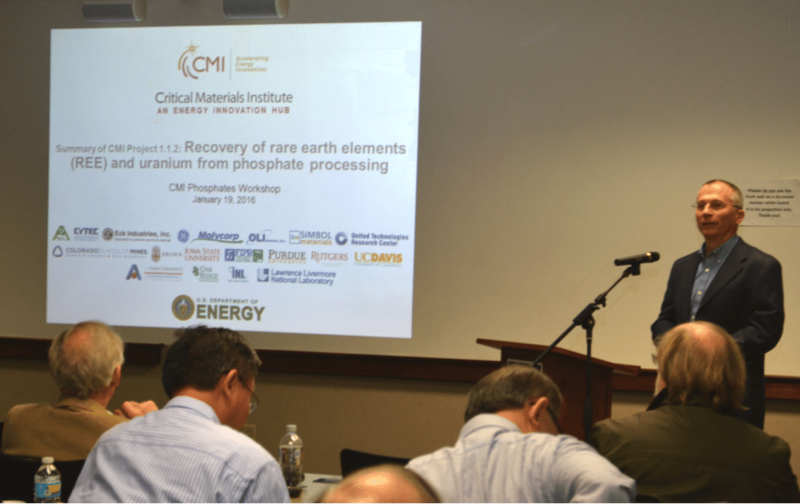 The Florida Industrial and Phosphate Research (FIPR) Institute of Florida Polytechnic University hosted the “2016 Workshop on Rare Earth Elements (REEs) and Uranium from Phosphate Ore” for the Critical Materials Institute (CMI) on January 19 -20, 2016 in Bartow, Florida. This meeting was attended by 48 top researchers from many of CMI’s member organizations, including Oak Ridge National Laboratory, Idaho National Laboratory, The Ames Laboratory, Rutgers University, Mosaic Company, Colorado School of Mines, University of Tennessee, and the FIPR Institute. 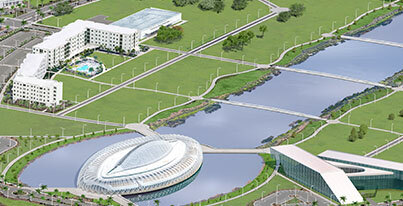 In an ongoing effort to develop REE extraction methods from phosphoric acid production, this CMI project is focused on a multidisciplinary effort to increase U.S. availability of REEs (such as neodymium, europium, terbium, dysprosium and yttrium) necessary for advanced technology development. The first day of the CMI Workshop included presentations and discussions on the applied science methods currently being tested for REE extraction chemistry, and the second day of the Workshop included a tour of a local Mosaic phosphate production facility.